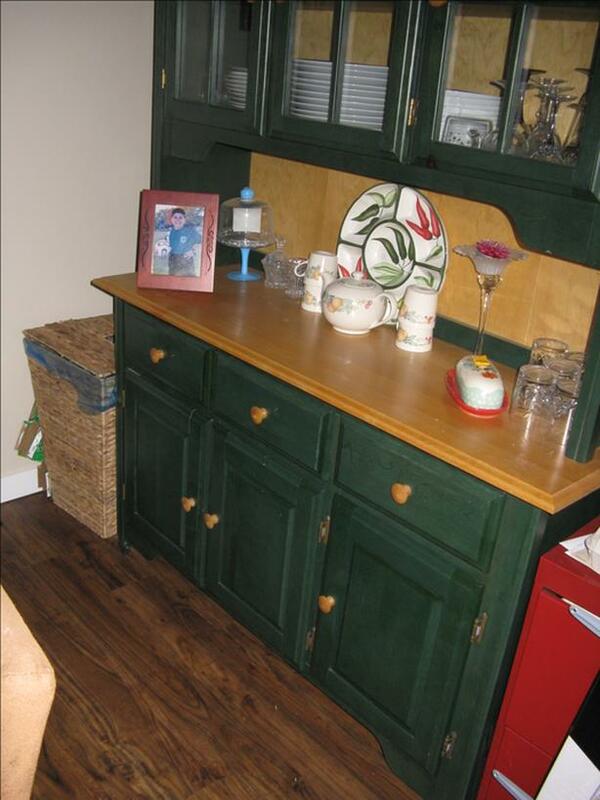 Dining room cabinet, stained green, with light wood accents. Hutch has two glass doors and buffet has three drawers and doors. Excellent condition. Buyer must pick up.